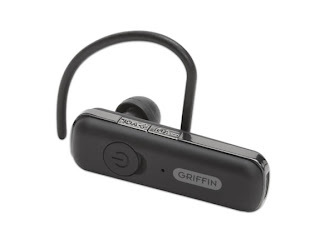 Griffin Technology?today announced the SmartTalk Bluetooth headset. The SmartTalk incorporates STEP Labs’ STEPvoice acoustic voice separation technology to eliminate background noise, reduce wind noise, and improve voice quality. The SmartTalk Bluetooth earpiece can be easily paired with iPhone or any Bluetooth-enabled phone. Human voice confirmations tell the user that the device is “Pairing,” “Powered On,” and other helpful functions.